You must make reservations at least 5 minutes in advance of the time at Angelo Pietro Honolulu. Public parking is adjacent to the restaurant in a ticketed lot. parking fee is $0.75/hour in the first two hours. Angelo Pietro serves a unique fusion of traditional Italian and Japanese flavors into pasta, pizza, salad and salad dressing. 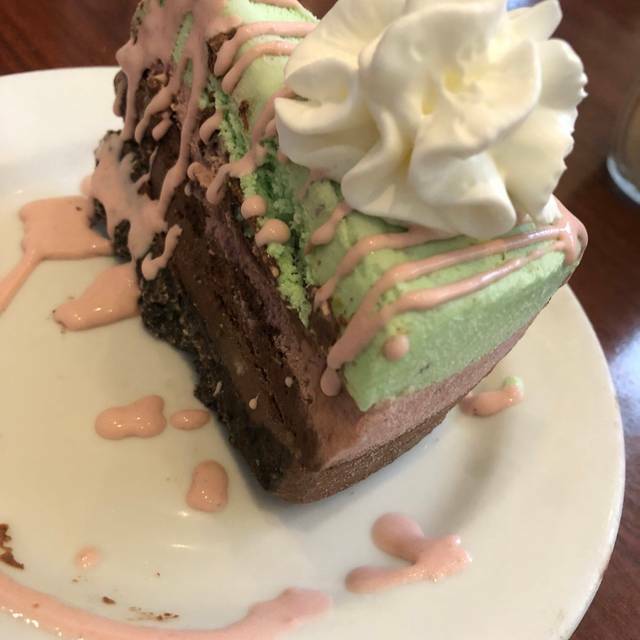 Angelo Pietro has a warm family atmosphere, delightful drinks and desserts, and friendly professional service. The Raw Potato Salad is one of our signature dishes. It is thinly shredded potato however has an unexpected taste. 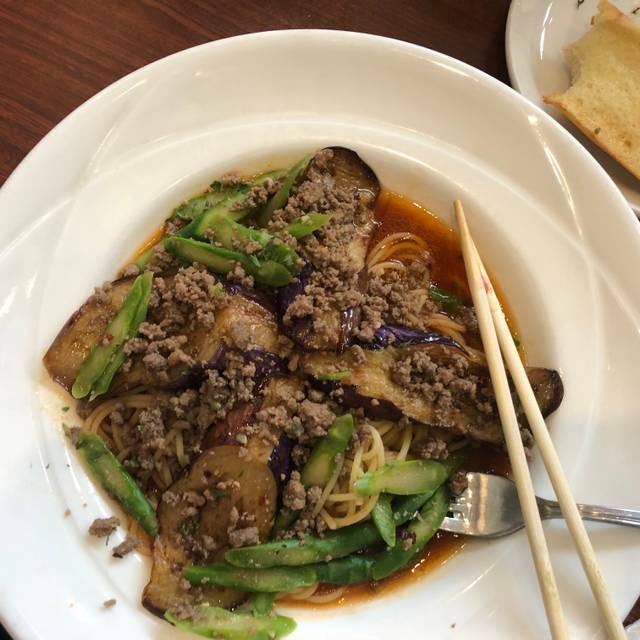 The Eggplant & Spicy Ground Beef is the most favored pasta however you may also create your own masterpiece pasta, pizza or salad by combining your favorite sauces and toppings. Angelo Pietro sells Pietro salad dressings as well in four different flavors: shoyu, sesame & miso and ginger. Crisp and refreshing, Citrus, melon, green apple and spring flowers explode from the glass, delicious! AS usual, the value and taste of their food was outstanding. It was nice, and quaint. I would suggest dining there. Nice place to have Italian pasta meal. A small neighborhood restaurant that's good for families and general dining. Enjoy seeing the same management and waiter after all these years. Very good value for food and drink. Perfect for family dining. The food was quite good and so was the service. It was a Sunday at lunch, so there were not too many people. It had a good variety and modern Italian Pasta Should have. It was crowded since it was Valentine’s Day. The service was acceptable, and the food was pretty good. Not much else to say about it. We were there on Valentine’s Day for dinner. 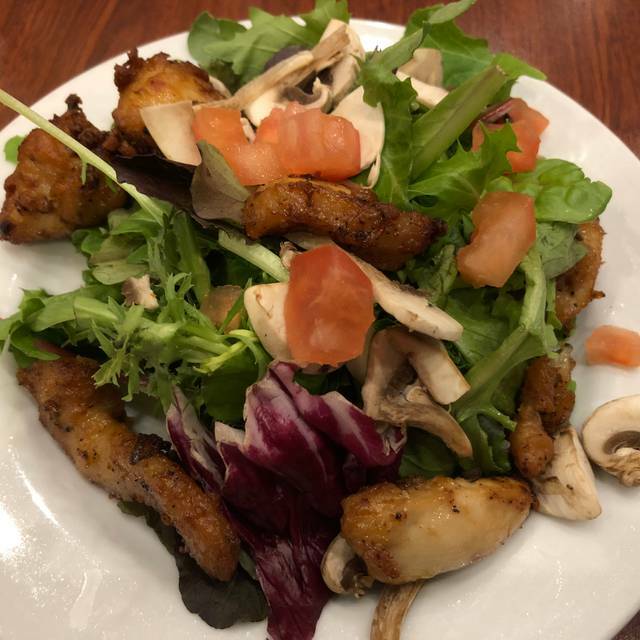 The service was excellent and the food great! We’ve been there many times before and the food is consistently very good! We’ll continue to go back. We come to this place about 5 times a month. The food is great and so is the service. At their previous location, my favorite dish, shrimp and mushroom with cream sauce came with the fried onions. Now, it’s an extra item, but totally worth it. Another fave is the natto and bacon. As usual, the food is just awesome - our favorite is the shoyu sauce and how fun is it to eat spaghetti with chopsticks! The rainbow salad is a must to order -- presentation is great and love the various Pietro salad sauces. Excellent! 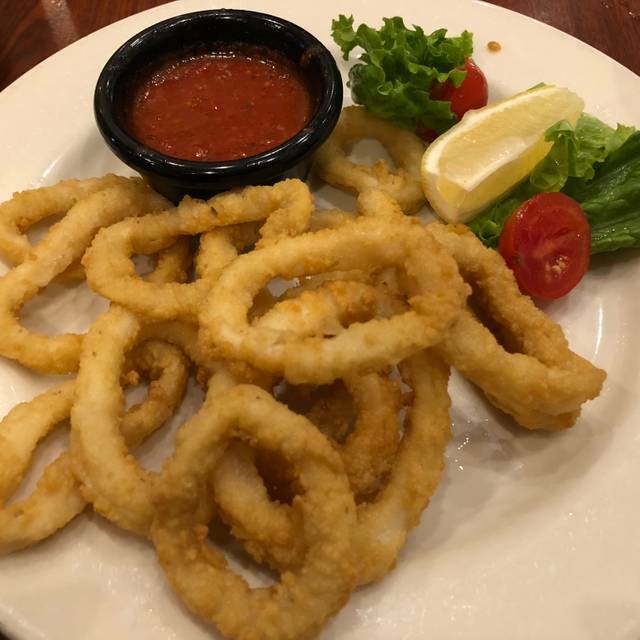 We’ve been dining at Angelo Pietro since they were in their Ala Moana location. So happy they are still around! So happy to see they are thriving and they continue with great service and great food. They even have new items on the menu.so yummy! Food was excellent. Meat and eggplant grato baked with spaghetti, chicken bacon and pene. Gorgonzola sause with bacon was fantastic. Great prices and happy hour specials. Highly recommend this restaurant! Food was good, service attentive but it was too noisy for a conversation. Brought out of town relatives..nice fun dinner. Prices reasonable including wine list. Menu selection different and fun..all dinners were excellent. Definitely recommend. A friend I hadn't seen in ages and I decided to get together at Angelo's for lunch. We didn't expect it to be so crowded for lunch and we were glad we'd made reservations. If we hadn't, we would've been waiting outside for who knows how long. The food was very good as usual. I had the Siciliana and was very happy. 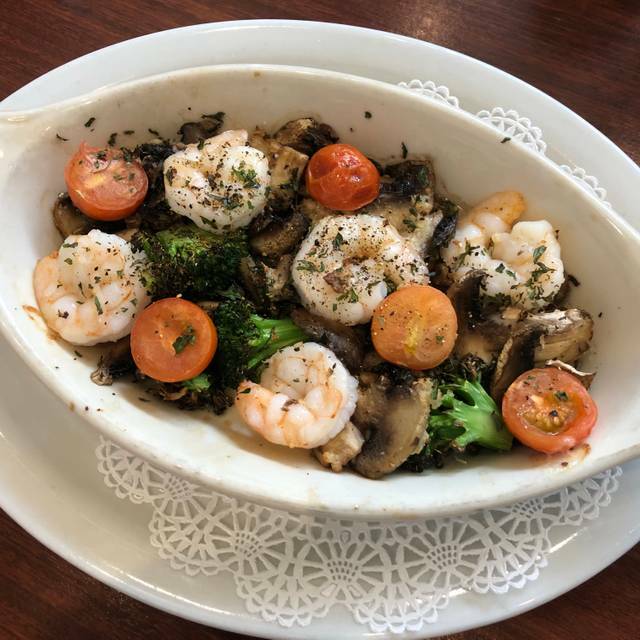 My friend who hadn't been to Angelo's in about a decade, ordered the Pescatore in cream sauce and she said it was as delicious as she had remembered it to be. Aside from it being a little difficult to have a conversation (because of the crowd of people who were there), it was a very nice lunch. Es un restaurante Asiático ofreciendo una carta con platillos INTENTANDO ser italianos. Ningún platillo es Italiano, no hay postres italianos, carta de vinos malísimos y ningún vino italiano! Aderezos tipo orientales ninguno italiano ni siquiera el tradicional aceite de oliva, icono de la comida italiana. El lugar es muy chiquito, nada acogedor ni agradable. Pésima ventilación, cada vez que abrían la cocina se percibía un olor muy desagradable como a baño. Definitivamente este restaurante no cae en la clasificación de restaurantes Italianos. 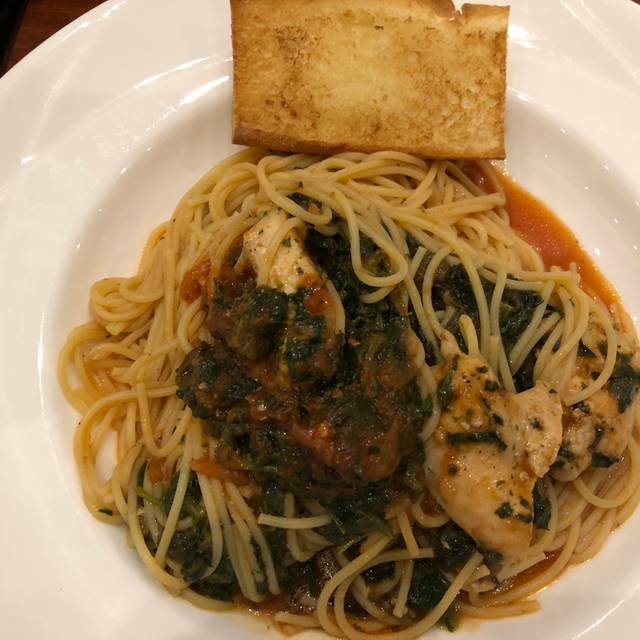 When we think spaghetti and flat bread, we would head out to Angelo Pietro. It has been our favorite eatery for decades, good food, good service, reasonable price. We shared a fresh tossed salad so we could try the different salad dressings then we shared a mixed mushroom pizza before the entrees. Delicious! Will definitely return. This was my second time dining at Angelo Pietro’s. Enjoyed the pasta on both occasions, as well as the Spinoni Ice Cream Pie dessert. The service was very good also. Will definitely return in the very near future. 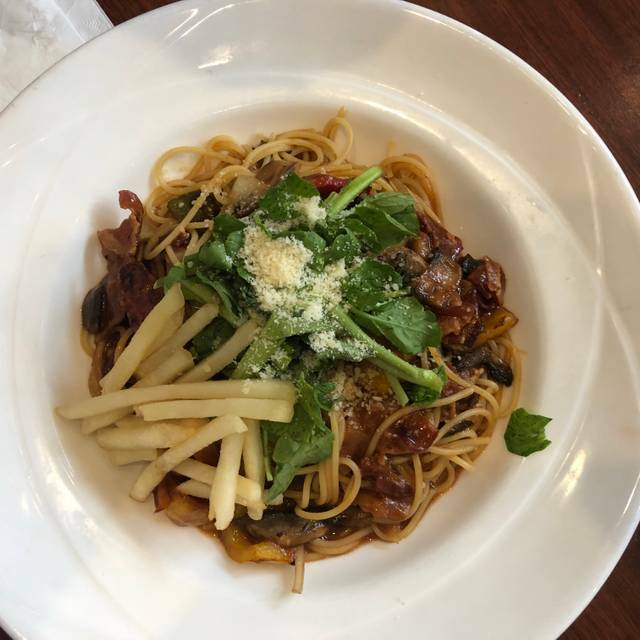 I always order the rainbow salad and sicilian pasta and as usual, the food was excellent! This place is an all time favorite for consistently good Italian dishes. A small but cozy dining area. Service was good and the food came quickly after ordering. They also have a stamp card for every entree ordered they stamp your card and after 10 entree you receive a free one. Will return again for an everyday good Italian dish. Pepperoncini Garlic Wasabi seafood pasta?? Had to try it, and sooo glad I did. So delicious and very unique. We’ll be back!! Great for at a very reasonable price! Hadn't tried the Gratin in years....Was disappointed. It wasn't as tasty as I remembered it. Service was very good with an attentive waiter. Looking on the bright side, the prices were moderate and it wasn't too noisy although there was an unhappy camper in the form of a crying baby. Great Food, Great Service, Reasonable Prices...everything you want in a restaurant. Just love the raw potato salad and pasta ... such a unique taste and highlghly recommend for everyday dining! We lost sight of Angelo Pietro's when their Kapiolani/Kaheka St. restaurant closed a few years ago; unbeknownst to us they reopened after a year, in Kaimuki, on 21st. Avenue. All our favorites were on the menu, (shredded raw potato salad, Angelo's special sauces, el dente pasta, local fixings and more)! Smaller location, like their first location across McKinley High School, made it more intimate. The food was excellent and the service was prompt and friendly. This was my first time at the Kaimuki location. The exterior of the restaurant looks a bit shabby, but the interior is fine. 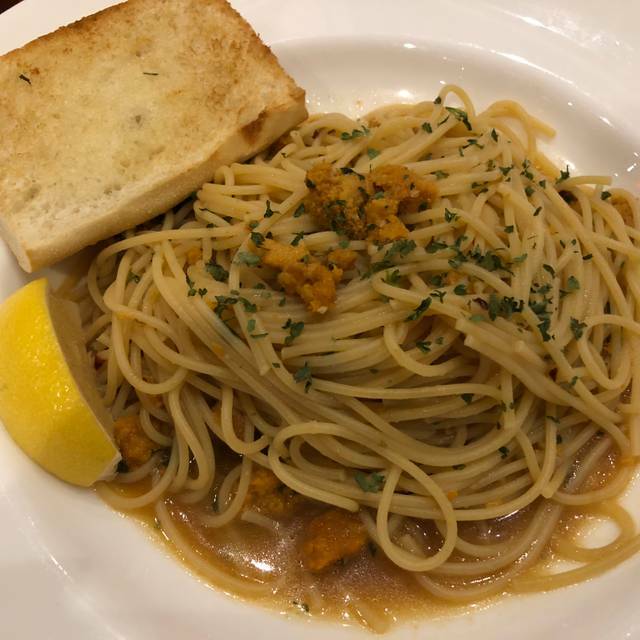 I had the tarako pasta which tasted good but it felt like there wasn't enough sauce. It was a little dry. The service was good.